World Health Day gives all of us a worldwide opportunity to focus on key public health issues that affect the international community. It is celebrated every year on 7 April, under the sponsorship of the World Health Organization (WHO). In 1948, the World Health Organization held the First World Health Assembly. The Assembly decided to celebrate 7 April of each year, with effect from 1950, as the World Health Day. The World Health Day is held to mark WHO’s founding, and is seen as an opportunity by the organization to draw worldwide attention to a subject of major importance to global health each year. The WHO organizes international, regional and local events on the Day related to a particular theme. 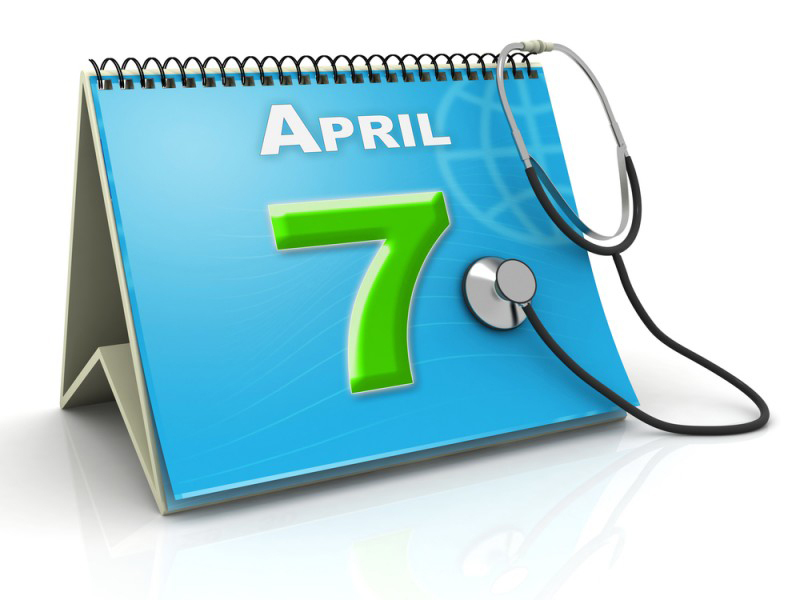 Resources provided continue beyond 7 April, that is, the designated day for celebrating the World Health Day. World Health Day is acknowledged by various governments and non-governmental organizations with interests in public health isssues, who also organize activities and highlight their support in media reports. Reform has three aims: programmatic reform to improve people’s health; governance reform to increase coherence in global health and managerial reform in pursuit of organizational excellence. Three fundamental challenges drive the need for reform. First, WHO has found itself overcommitted and overextended. It was in need of selective and strategically focused priorities, which can best reflect the Organization’s comparative advantage and that can guide WHO’s response over the coming years. Secondly, WHO’s role in global health governance and relation to other actors in international health needs to be defined with greater clarity. Thirdly, when faced with new challenges and a rapidly changing environment, it is important for WHO to be able to respond with sufficient speed and agility. By establishing clear priorities, combined with adopting better governance and management practices, WHO can better serve the global health community. Ultimately, reform enables WHO to more effectively fulfil its constitutional mandate as the “directing and coordinating authority on international health work”. Organization has a unique function or comparative advantage, and financed in a way that facilitates this focus. An Organization that pursues excellence, one that is effective, efficient, responsive, objective, transparent and accountable. The theme for World Health Day this year of 2015 will be ‘Food Safety‘. The purpose of the day is to raise awareness of the importance of food safety. And, here are the World Health Organization’s ‘Five keys to safer food’, keep clean, separate raw and cooked food, cook food thoroughly, keep food at safe temperatures and use safe water and raw materials. It’s very important that we know how important food safety is. Did you know that food that contains harmful bacteria, viruses, parasites and chemical substances is responsible for over 200 diseases, from diarrhoea to cancers. So, we all need to be aware of the threats to food safety, the diseases they can cause and how to protect ourselves so World Health Day will focus on these points. Unsafe food and water is linked to the deaths of over 2 million people annually – including 700 000 children in WHO’s South-East Asia Region. Food safety is critical for public health as foodborne diseases affect people’s health and well-being and the need to strengthen food safety systems in and between all countries is becoming more and more evident. 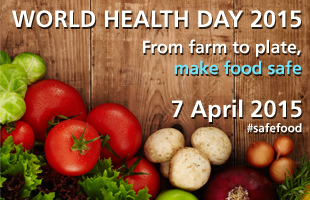 That is why the World Health Organization is promoting efforts to make food safe food, from farm to plate on World Health Day, 7 April 2015.